At some point in life, we can feel misunderstood and alone as if no one truly understands what we are enduring. It happens. We can swirl in strive alone or we can reach out to others. I have found through my experiences that when we endure hardships, we have a choice. We can allow them to keep us down or we can use our knowledge to help others. There’s nothing like the connection when we share what we are going through and find the comfort with someone who understands because they have a similar experience. On the other hand, if you have not experienced ‘x’ (fill in the blank with whatever hardship you are currently enduring), you may find it difficult to be compassionate with a friend who just doesn’t ‘get it’ because they simply can’t imagine the magnitude of ‘x’ in your life. Don’t despair dear friends for it happens to all of us. We all have certain hardships in life that can drag us down, but here you can find a connection of love that endures, supports and helps to raise you up when you need comfort. You only need to tap into the love of the universe to feel it. Take my hand. I understand. Holidays can be trying times for the best of us. Grief and loss can sour happy times if we let them. But we have a choice to allow sadness to swallow us up and sap our energy or we can reach out and look up. I know it’s not easy, but it is possible. Begin to feel the festive spirit of love in your life. You are not alone, ever. Even when you feel completely misunderstood and alone, you are not. Faith is a great healer. Your inner spirit shines with a heartlight full of love when you let it. Allow your soul to glow with love and peace. Begin to feel the gratitude for being here in this moment. Breathe in the source of God’s love for you. Close your eyes and see the white light of love surrounding you. Grief comes in waves. Ride the peaks and valleys of grief as best you can and know that it can be a wild ride. But know that it is a part of life’s journey. For without grief, we would not understand the beauty of happiness and joy. Share your experiences with others as when we connect, when compassion forges that connection, we all become empowered by the moment. When we lift someone else up by word or deed or even companionable silence, we lift your own spirit as well, we begin to heal and we strengthen our loving heartlights to shine even brighter! Remember you are loved. You are cherished. Life is a season of years with ups and downs. We remember the good and the bad, but the choice is ours as to what we allow to take our attention. You are wise. You are here. Be kind to yourself and others today for we are all enduring something. Compassion heals, dear friends. Shine your heartlight, connect with others and know that you are loved. I am learning the art of observing. Through the help of many angelic mentors in my life, I am reaping the benefits of allowing, observing and being. It has been through much practice that I am learning this special art. It has been so beneficial to me in my life that I want to share with you what I’ve learned and as always, to hear from your experiences as well. It’s easy to get caught up in drama in life. Certainly the news, work and day-to-day relationships can fill that void and take our focus off of presence, gratitude and compassion. We can swirl around in the they said/I said confusion and recklessly abandon peace within our hearts. We can aggrieve hurt and mistrust by only seeing the surface of an issue. We can ignore the chance for stillness by focusing on the back story of any issue and grow a mountain out of a molehill, complicating perhaps a simple matter until it affects every part of our day, our life and our being. We can think we know what is meant by an offhand comment, an argument or a social media posting. But we spin our own selves into stories that are sometimes so far off the mark that it affects relationships in a negative way. That’s when observer mode comes into play and benefits us. For when we step back from the chaos in life, we see how each and every one of us comes into a relationship with baggage, with tender spots and with beliefs that may or may not have anything to do with our present situation. We are encumbered by these and use them in our daily relationships, sometimes as swords, sometimes as a soothing bond. But when we drop all of that and really focus on the good with compassion in our hearts, the other stuff simply falls by the wayside. It matters not if the other person is able to observe and not react in the situation. We can allow them to spin on their own planet of beliefs while we settle into ours in a peace-filled manner. When we observe with a compassionate listening heart at difficult relationships, we can see how everyone is trying the best we can under the circumstances. We can find that loving soul that is filled with compassion even when on the outside, it isn’t been shown. By listening with our heartlight, we uncover the good, the love and the forgiveness for any situation. We alleviate the suffering we may be feeling by knowing that we can find peace in our own hearts even when we feel that we are swirling in the chaos of a storm. The ‘story’ we tell ourselves may or may not be true. 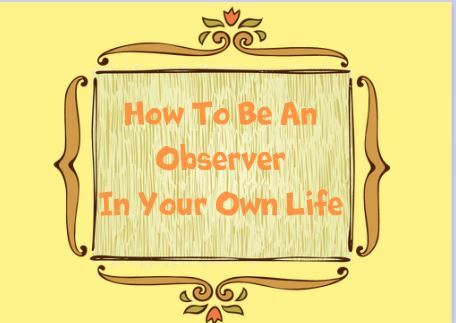 When we rely on our observer mode, we instinctively are able to see what we may have missed. Using our heartlight, we shine a peaceful understanding of circumstances beyond our control. We emanate love instead of hate, we grow trust instead of mistrust, we gain The Presents of Presence with stillness and we help ourselves to grow spiritually into healthier human beings. Bottom line, it’s a win-win situation for all involved. Being able to drop our egos, release our ‘stories’ and unravel what we thought was our life ‘story’, is when we begin to embrace all the wonderful loving peace which is ours by Divine Right. To look with gratitude at what chaos has brought instead of digging and mixing more into it is a choice. To feel symmetry with another is to connect on a whole different level. 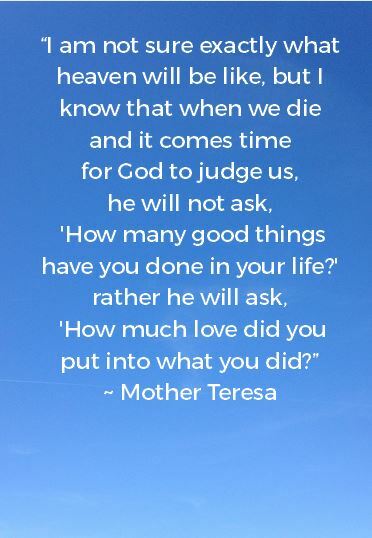 For we are all God’s children here, doing the best we can under every circumstance. That’s the best we have at any moment. What’s hard is when we can spiritually look at a situation and observe, understand and allow and we are alone in that plane for others do not see it in the same way. But, hey, that’s ok my friends. This is our life, our loving soul that we are in control of ~ not anyone else’s. We must trust our intuition, our minds, our heartlights and observe. Let go of the ‘coulda, woulda, shoulda’s’ that hold us back from peace. Embrace the circumstances, whatever they may be and move forward with our heartlight shining and singing its beautiful melody. Life happens. Shifts happen when we allow it. There is place of peace in every moment when we observe with gratitude for all of our gifts.